The Sheikh Zayed Institute’s Pain Medicine Care Complex is just one part of a children’s health system that yearly gives $50 million in care to needy children. The Sheikh Zayed Institute for Pediatric Surgical Innovation came about as a result of a generous gift from the Sheikh, who because of his love of children wanted to create a place where children could be healed. Chronic pain can be a big problem for children of all ages. Young children who are in pain often have a hard time articulating what exactly hurts. And school age children can sometimes experience a lot of stress, from classes or social pressure. Often, their pain is exacerbated by these conditions. Current pain scale methods like the famous “faces” scale are very inadequate for pain measurement. Dr. Finkel said that pain is a lot more complex than most people give it credit for. Lots of children are told that, since there is no apparent physical cause for their pain, the pain is “all in their head” and they just need to learn to ignore it. But at the Sheikh Zayed Institute for Pediatric Surgical Innovation, they explain to children that pain is really a reaction within the nervous system, a system that includes the brain. The pain that young people under stress are experiencing is very real, but it’s hard to treat with many standard means because it cannot be isolated. There is also poor understanding of what kinds of medication will work on what kinds of pain, leading to prescriptions that will ultimately be ineffective. At the Sheikh Zayed Institute for Pediatric Surgical Innovation, the doctors are trying to understand pain better by observing children doing physical activities. To monitor these interactions, they’re using a game series called Athlonauts, developed on the Kinect. 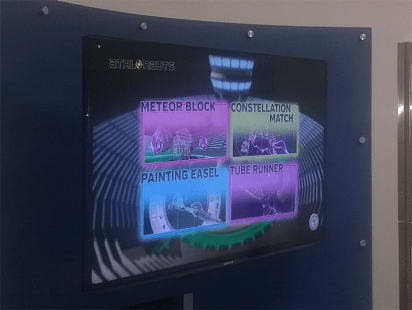 The games include a ring grabbing game in a spiraling space station, a volley-ball style game where children slap back flying meteorites to hit targets, a constellation-creation game where children hold their hands over stars to connect the dots, and a free style drawing game that allows a child to paint on a digital canvas. Each of the games has four different levels of intensity as well, easy levels that ramp up to faster and harder ones as a child’s score improves. Kinect is used to track skeletal data, which, every three seconds during gameplay, is sent to a server and tracked for analysis. The skeleton tracks the child’s range of motion as they play different games, detecting any motions that might be a problem for the child. With traditional physical therapy exercises, children will often stop doing an activity if it causes even a slight amount of pain. But with a game interface, kids get competitive, and forget about the pain while they’re trying to achieve a higher score. Dr. Finkel stressed that this is important: if a child doesn’t push past the pain while they’re doing physical therapy, they won’t get better. The games can also help kids that have difficulty verbalizing to come out of their shell, making this a great social activity for kids who are tired of being in and out of dull hospital rooms. Within the hospital’s infusion room, where a child might often be stuck to an IV and otherwise not have much to do, the Sheikh Zayed Institute for Pediatric Surgical Innovation has also installed the Kinect and other games. In this environment, the video games are very helpful because it distracts the child from the procedures being done to them, the IV, and any associated pain. 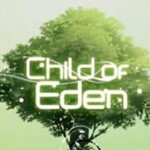 The organization’s future plans are to create more advanced games. They would like to use Kinect 2, since the newest Kinect can also read facial expressions of children. They believe that a method to detect pain that shows the exact moment that a child grimaces or winces, along with the data from the skeleton to show the child’s body position, would be really useful in diagnosis. In the future they would also like to get the games and devices in children’s homes. After all, if they can create a method of physical therapy that keeps a child from having to make frequent hospital visits, it saves money for everyone. Here’s me and Shahed trying out the games, lead by Chelsea Kling! There is more footage at his blog, WakeUpAndCode. You can also donate to this very worthy cause at http://giving.childrensnational.org. Thanks to everyone at Children’s National for the opportunity to have this tour! This is fantastic. Such a great use of technology for a worthy cause. We’ve long known that games can help ease chronic pain by providing pleasant distractions, but there’s clearly much more to it than that – and taking advantage of tools like Kinect will open whole new realms of physical therapy and pain management opportunities. Plus, something so simple as mapping actions to range of motion during a game might provide more meaningful results than attempting to do so during a traditional therapy session, the same way it’s easier to come up with an answer if you’re not thinking about how it’s a test. Thanks, AJ. It must have been a really cool experience. 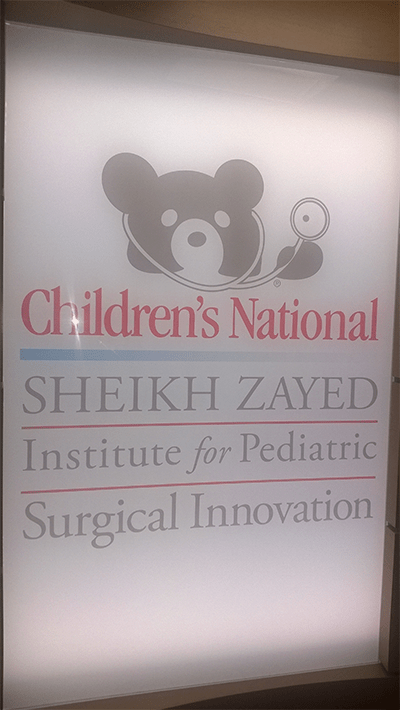 Is the Sheikh Zayed Institute part of the Child’s Play network? Children’s National is part of Child’s Play. You can donate to them a number of ways!